The Wizarding World of Harry Potter will have Harry Potters wand and others at Ollivanders Wand Shop. Last week, when we visited the new Wizarding World of Harry Potter park, they had only 3 different Harry Potter wands to select from at the Owl Post. Yes, they’d sold out of every other wand in the park (totaling over 20 wand choices). Other than the very special and very expensive brooms, the wands seem to be one of the few things selling out at the new Harry Potter theme park at Universal. Fortunately, Universal Orlando has added many of the “in park exclusive” items to their Universal online store. 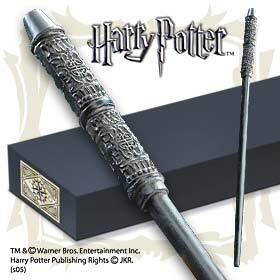 Additionally, you can buy almost all Harry Potters wands in the WBShop, online. Save the lines, don’t worry about stock issues, and order from your couch at home, rather than interrupting your Orlando vacation. The Harry Potter wands you get in the Universal online store are (for the most part) the generic wands that the wizard picks out for you in the Ollivanders Wand Shop show. They include a holly wand, willow wand, ivy wand, birch, reed…you get the idea. These wands are not attributed to a specific Harry Potter character. 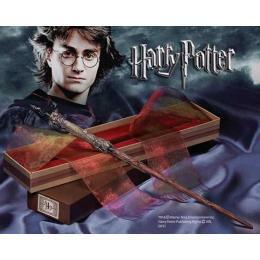 They are still of very high quality and come with the Ollivanders logo emblazoned on the box. If you want one of the many Harry Potter character wands for sale in the Ollivanders Wand Shop at Wizarding World of Harry Potter, you’ll have to visit the WBShop wand section, where you’ll find all the character wands. Here’s just a few of the bestsellers available at the WBShop wand section. 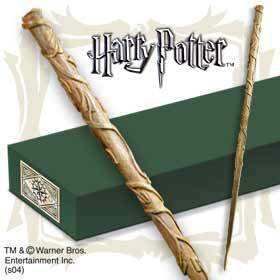 Obviously, Harry Potters wand will be one of the top selling wands in or out of the park. As with all wands from WB or inside the Wizarding World of Harry Potter, all the wands come boxed in these beautiful, nearly display ready boxes. Surprisingly, to me at least, Professor Snapes wand is super popular on WBShop and in the Wizarding World of Harry Potter. Of course, Hermione Grangers wand is very popular, especially among the girls. On our last visit, I had my niece with me and she REALLY wanted Hermiones wand. Unfortunately, they were completely sold out and she was about to settle for a substitute. At the cashier, she noticed a box on the counter that looked like it could be Hermiones wand. She asked and sure enough, it had just been returned!! She got lucky, but why take the chance? Get yours before you go — or even if you don’t plan to go at all! 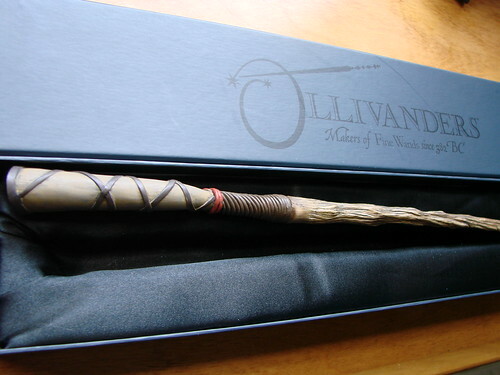 Finally, you have my favorite, Dumbledores wand. I love the complexity of this wand with it’s knots and scars. It looks like the wand of an old, wise wizard. You can get 21 different wands in the WB wand shop, right now with more supposedly in the works. Currently, they’re priced a bit higher than what you pay in the park, but if you buy $60 or more of merchandise, you get free shipping from WBShop. In the Wizarding World of Harry Potter, you’d pay sales tax, so they likely balance out. 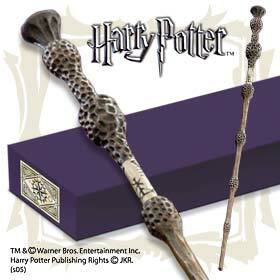 We’ll be having another wand give away, very soon, too — so, maybe, you’ll get one for free! Subscribe to our RSS feed or free email newsletter to stay up to date on all our contests and prizes, as well as Universal Orlando vacation information.